47 Ronin is a film which attempts to take a serious concept and liven it up with fantasy elements to appeal to a wider audience. It is quite simply an average film, one with much potential, but ultimately I found myself slightly disappointed. The craft is great along with some moments of action, whilst everything else is rather respectable but nothing too special including the return of Keanu Reeves to the world of cinema. Lord Asano (Min Tanaka) of Ako, a small beautiful Japanese village, is hunting in the forest with his men when they find a young boy, a half-breed between demon and human. Asano sees something special in this boy and takes him home to the castle, where he shall live alongside the samurai. Several years later, the young boy is now a man, his name is Ki (Keanu Reeves) but he’s rejected as a samurai and is labelled as “half-breed”, but his fighting skills are superior to any other, defending the village from beasts. Lord Asano invites the Shogun of Japan (Cary-Hiroyuki Tagawa) to Ako to watch a tournament; however when a witch sabotages his fighter and eventually Asano himself, the shogun demands seppuku (Suicide) on Asano to counterbalance his shameful act. Lord Kira (Tadanobu Asano) of Nagato is given power over Ako by the Shogun, including all the samurai and the princess. Lord Kira, evil and heartless forbids the samurai from Ako and keeps the princess for himself. The banished samurais, who are now just ronins, realise Kira’s plot and set out alongside the half-breed to seek revenge for their fallen master despite it being against the Shogun’s order. The concept is simple but strong with the story surrounding revenge and the ronin taking back their land of Ako from Lord Kira, who plotted the bewitching. It has also been seen many times before, with an unapproved man attempting to save a village and to win the princess from an evil master. 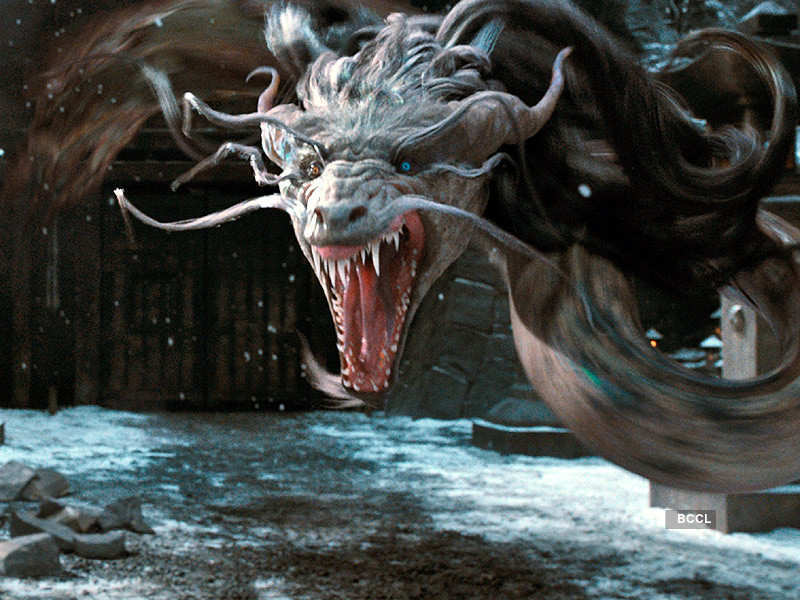 However 47 Ronin steer away from simple plots and attempt to dive into fantasy worlds and monsters to gain excitement. The idea of huge, witch crafted beasts somewhat ruin a traditional concept of samurais against shoguns and masters. It lets down the film for me and somewhat made it hard for me to like it, especially considering my appreciation for classic Japanese film such as Seven Samurai, where in other films Ki would be a farmer or a peasant, he is a demon setting-up a mythical setting and film world. The fantasy carries on as witches, ghosts and spirits enter the film. 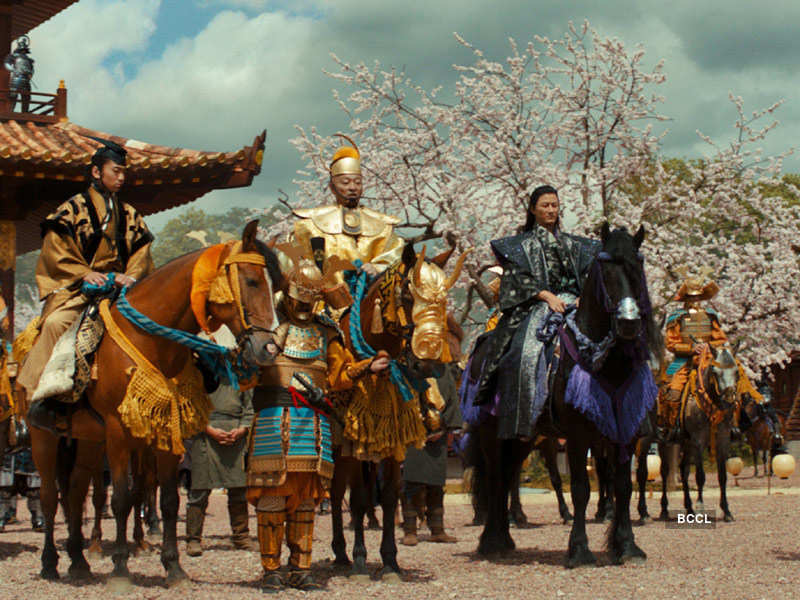 47 Ronin then attempts to make matters serious by making the acquisition that the story is based on real life events, something I found ridiculous. The real action, when arriving, takes place as the ronin invade Lord Kira’s Ako, and it is very good with the scenes looking great and the attack and scene being well-thought out and executed. It then sets up two stand-off fights, which bring entertainment which is much needed as the film beforehand seems to stray at some points. Keanu Reeves portrayal of Ki is good, however like the rest of the cast and their acting it isn’t anything special and if anything at times it felt very stereotyped and cheesy. The film did thrive from its visuals, although the concept of beasts and witches were somewhat unneeded it is only fair to say that they looked good and the effects were brilliant. The directing was also creditable and a standout, some shots were very awe inspiring especially in the lead up to the battle, whilst the film was occasionally helped by a number of well-timed and executed scenery shots. 47 Ronin isn’t what I was expecting, and I would have hoped it took a more traditional approach towards portraying a Japanese samurai story. The film itself looked good and the action when appearing, although somewhat less than what was needed, was great and provided good action and entertainment. The story was well shaped and the simple concept was strong, which essentially draws you in as an audience; however the twists were really unnecessary. 47 Ronin isn’t anything special at all and doesn’t deserves much praise but on the other hand it could have been a whole lot worse. Katie1234 on PUGS IN THE HOBBIT? MMiller on PUGS IN THE HOBBIT? forpugsdotcom on PUGS IN THE HOBBIT? The Reel Deel of films today.